Google maps will help you see where Lermont's Shoe Service used to be located in Glendale/La Crescenta at 4121 Pennsylvania Avenue, Suite J, California 91214. If you need a shoe repair expert and you live in the Los Angeles area, you can visit my Dad's shoe repair shop. 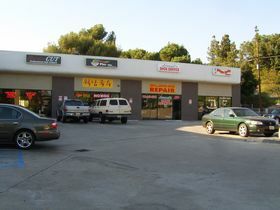 His shoe repair shop is also convenient to visit if you live in the Foothill Boulevard area, in Tujunga, La Crescenta, La Canada Flintridge, Pasadena, Verdugo Hills or Glendale. 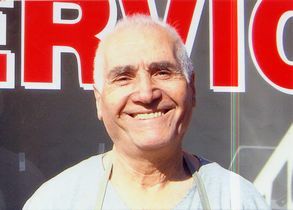 Some of his customers drive all the way from Hollywood, West Los Angeles and Beverly Hills. 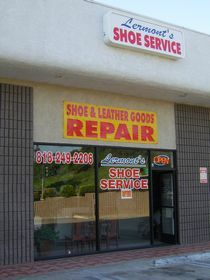 Lermont is your best shoe repair professional in the Los Angeles area. He has the best prices in town! You can read a few of his customers' comments on the Shoe Repair Expert Home Page. The shopping center is called PENNSYLVANIA PLAZA. As you can see in the photos there are plenty of parking spaces available in front of the stores. There is also an additional parking lot available downstairs, which you can enter from Montrose Avenue. 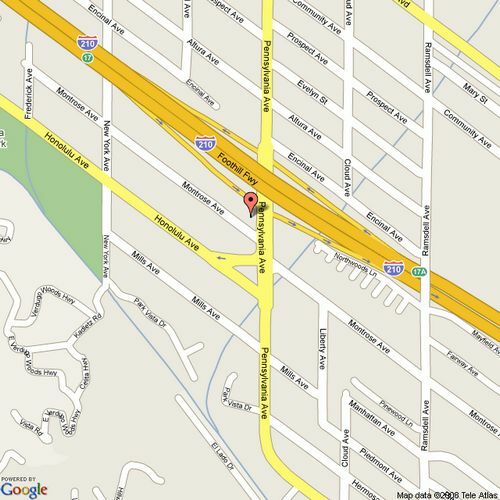 You can locate Montrose Avenue on the maps below. You can spot my Dad's shop, Lermont's Shoe Service, on the Google-Maps below. 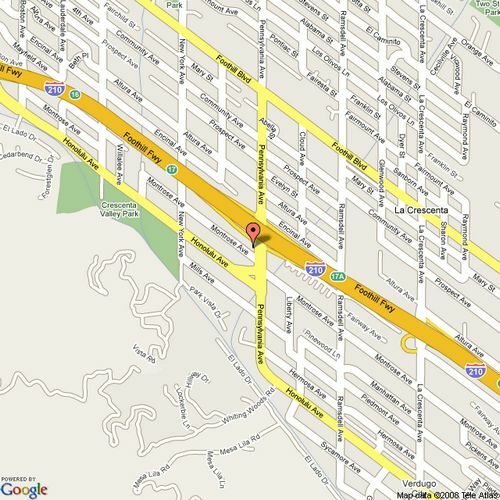 Here is a little close-up of my Dad's location on the map below.